Want to Decorate Your Wedding, but You Don’t Know How to add more Atmosphere to the Scene? If you don’t use the candles for a long off them manually, then take out all the batteries. 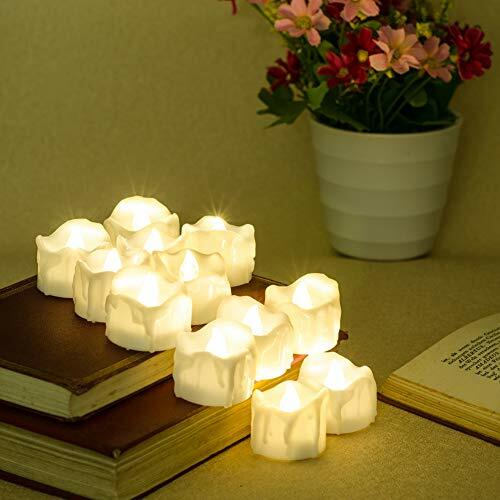 Decorative Candles with Timer – Once You Turn the Candles On, they will Lights up for 6 Hours, then they will Turn Off Automatically for 18 Hours in 24 Hours Cycle, So You Don’t Need to turn the Tea Lights On and Off Every Day. 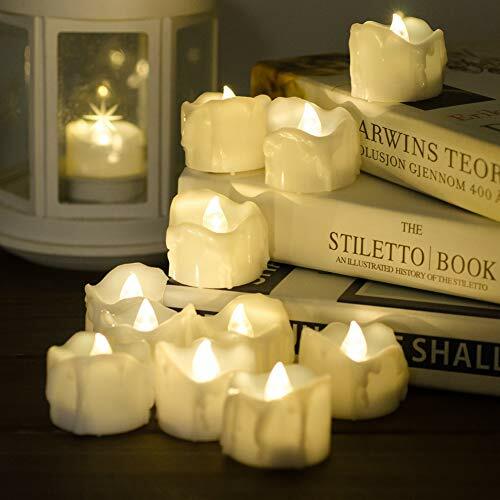 Battery Powered Tea Lights – 3V Lithium CR2032 Battery Included in each LED Candle, this Candle is Designed as 60 Hours’ Lasting Time which will Make these Candles Run up to 10 Cycles On and Off with 1 CR2032 Battery, ie, You Could Use the New Candles for about 10 Days. Fake Dripping Wax Design – Makes it more Romantic, Realistic and ideal for Decorations, Such as Placed in the Votive Candle Holders, Dining Tables or Windowsills for Home, Birthday, Holiday and Wedding Party Decorations. 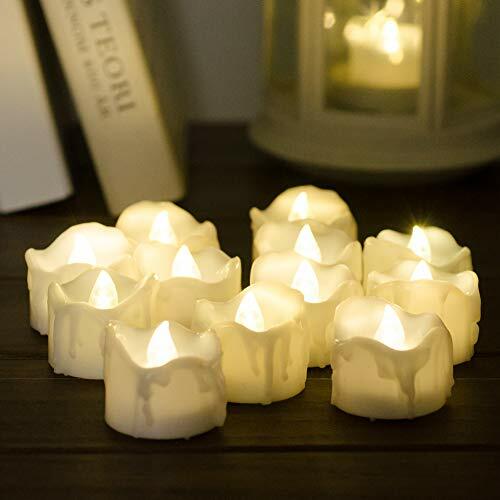 Kids and Pets Friendly – These PChero LED Tea Lights are Flameless, Dripless, Smokeless, Realistic and Security which Looks Like a Real Wax Candle, it is absolutely No Fire Hazards or Burning Risks near the Curtains, Room Bed, Kitchen and Other Home Furnishings, Safe for Families with Pets or Young Children. 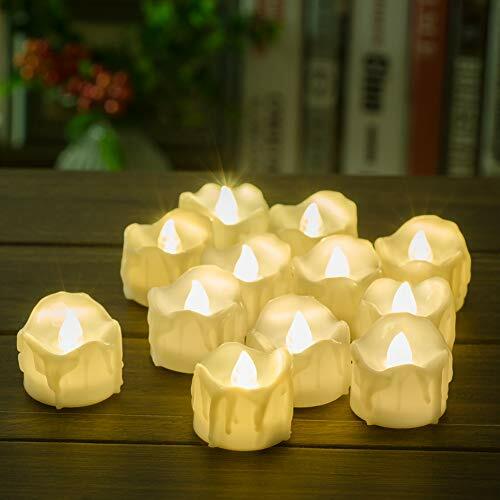 Notice & Tips – The Candles are White Color, but the Lights are Warm White; Dimensions of the Candles – Diameter: 3.5cm (4.0cm if plus the Dripping Wax), Height: 3cm.